Okay! Musume Time: This Just Keeps Happenin' - NMB48 Suspensions!? Whilst I may not be a fan of the '48 family, it has begun to worry me the amount of suspensions that have been going on - yes, some of these girls are doing it out of their own free will because they need time to think, or because something has happened and they have disappointed their fans, but regardless of that, this is a lot of suspensions - and it does somewhat worry me. 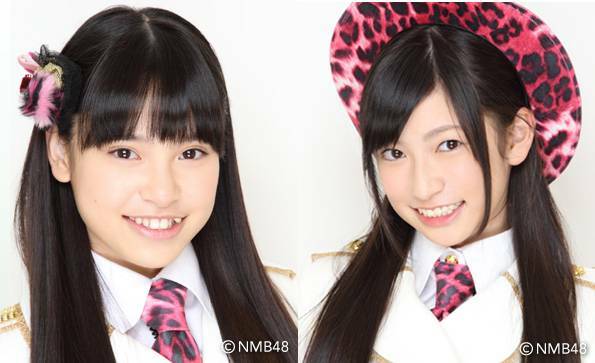 What worries me more so is that this is NMB48 - aren't they new? These girls are still fresh-faced and full of energy, why are they taking a leisurely hiatus now!? We've yet to see what they're made of and how their personalities work, and from the looks of these two girls who have just gone on suspension (Matsuda and... Yoshida, right? ), they probably barely know the entertainment industry - they've literally taken baby steps up until now, and yet here we are... me rambling about stuff I don't even know about, and wondering why so many suspensions are happening for the family that is + '48 with more to come. Okay, that's my 2 pence on this. I'm just getting worried - even though I don't really care for the AKB/48 family, I still like idols, and I have come to learn that regardless of what group these girls are in, I don't want to see them graduate or stop their activities for a while - it makes you wonder what has happened, whether it be a group or personal matter, in their lives to make them choose this option. I sincerely hope that these two girls come back to NMB48 soon, and continue their activities with the smiles we see in the picture above, because these two are still new - and brand new, fresh-faced idol groups are always quite lively and they are certainly a pleasure to watch. Yeah, that's me done for now.